You may recall this beauty of a M3 from a few months ago, it was in wonderful overall condition but I decided that as it had clearly seen so little use it may just be prudent to get it CLA"d before I start using it. 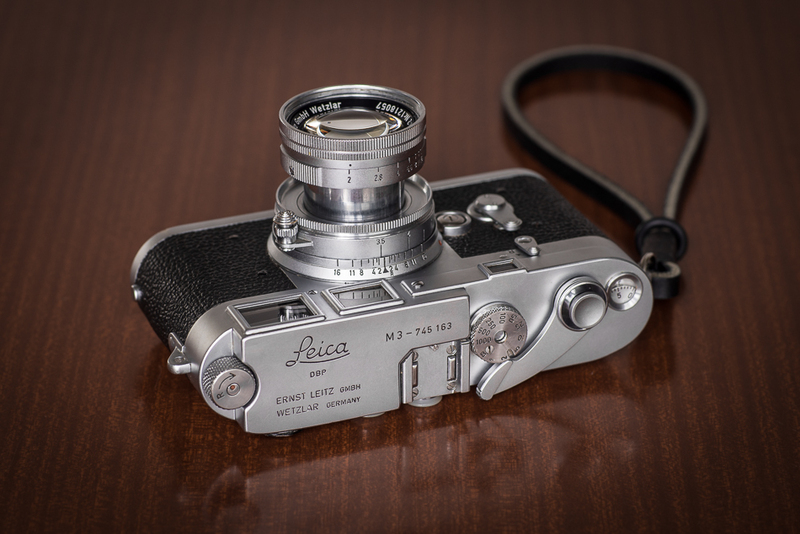 My local option for this kind of work has called it a day in recent months so I decided I'd give one of the more well known Leica repairmen a try. Youxin Ye, has a great reputation, he's been servicing and repairing mechanical Leica rangefinders for over a decade and this would be my first experience using his services. Firstly I checked out his website - HERE. Whilst not an elaborate site, it did contain all the information I was looking for. Confirmation of services offered, prices for those services and an indication on timescales. At this point I decided it would be a good idea to send the 50mm Collapsible Summicron, the focus was a touch stiff and given the cost of shipping it just made sense to do them together. I fired across an email highlighting the services I was looking for, in less than 30 mins I had a response. Great start. I needn't have worried, I got a mail from Youxin Ye around 18 days later to confirm the repairs were complete, well inside the 3-4 week timescales he states on his website. I received details of the works carried out, some additional feedback on the condition and quality of the items I'd sent. Confirmation of what I suspected in that the camera and lens had seen little use and were in nice shape. Options for return shipping - Priority $48 or Express $66 both with Tracking. For some reason I opted for the Priority Shipping and it took around 10 days, usually mail for the US arrives here a bit quicker than that. Next time I'll try the Express option. The camera and lens arrived back in good time, the works undertaken are fantastic, the camera and lens feel and operate like new. The whole experience was painless, communication was great, the work is top notch and I couldn't be happier. I can now use the camera with confidence! I wouldn't normally post about this kind of thing, it's refreshing to get great service though and I wanted to go on record and thank Youxin Ye for his work.